Nearly a half-pound lighter than its older brother, this new CCW .45 is ready to ride along 24/7. 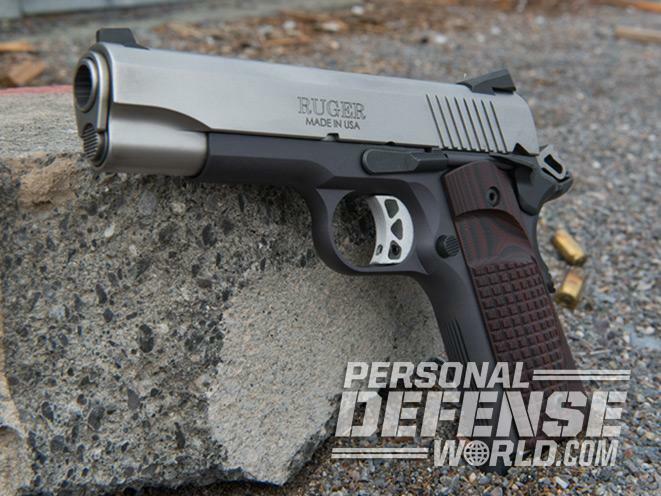 Ruger’s new SR1911 Lightweight Commander is stylish, powerful and easy to carry. It comes with several enhancements, including hardwood grips. 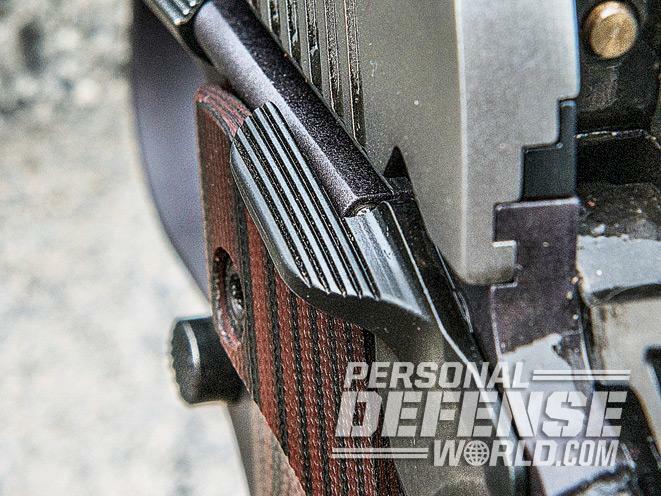 The magazine well is beveled for smooth, fumble-free reloads. The Ruger’s accuracy was stellar, surpassing that of pistols twice the price. The 4.25-inch barrel is held tightly within the Commander-length slide thanks to a brushed stainless steel bushing. The left-side-mounted thumb safety is low profile. Note the serrations. 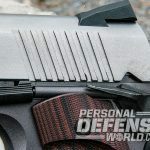 The Ruger SR1911’s rear slide serrations ensure positive reloads. The Ruger SR1911 Lightweight Commander has an anodized aluminum frame that contrasts with the slide and holds 7+1 rounds of .45 ACP ammo. Every time someone tells me the “1911 is dead” it results in a chuckle, if not a loud laugh. Nothing could be farther from the truth, quite to the consternation of those “experts” claiming that it is an antiquated design fading into obscurity. Given people’s inability to focus longer than a couple nanoseconds these days, this is sort of expected. 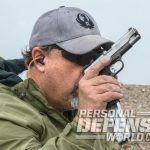 When coupled with a world inundated with hit-and-run marketing and social media mythology, the 1911’s staying power is a testament to its simple, reliable design. 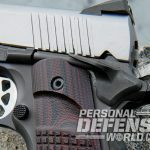 Denigrated as too costly or too complicated for the average shooter, the polymer revolution and those leading it constantly criticize the venerable 1911 pistol. 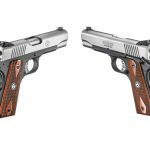 For four decades I have been hearing of the 1911’s demise, but it seems the average pistol buyer just does not agree. As each anti-1911 “guru” fades into obscurity, the 1911 just keeps on growing in popularity and its demise seems a bit overstated. Polymer pistols are certainly popular; they are great weapons with excellent features. Many long-time 1911 users have them, myself included. There is a certain utilitarian value to a well-built polymer pistol, especially one with a low base price. But even that is changing, with many starting at $600 or more, and reaching very close to the $800 range. It has closed that “entry level” gap often touted as an advantage. Many solidly built 1911 pistols now come in at the same price point, with some imports at even less, making them accessible to any pistol buyer. 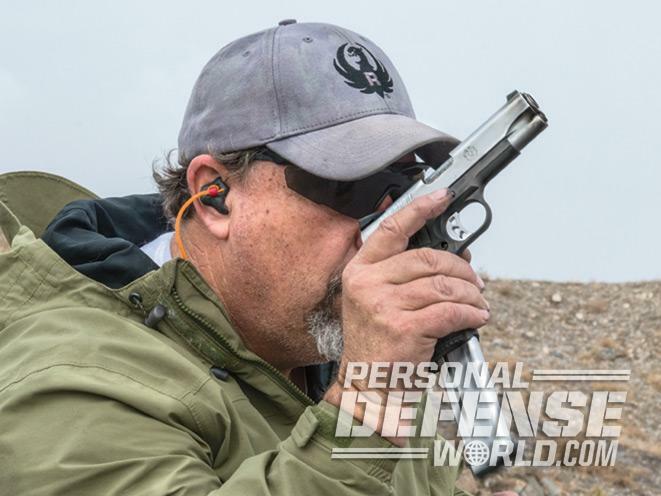 Many new pistol users are turning to the 1911, with no slow down in sight. They remain easy to carry, easy to shoot, inherently accurate and just plain cool looking! 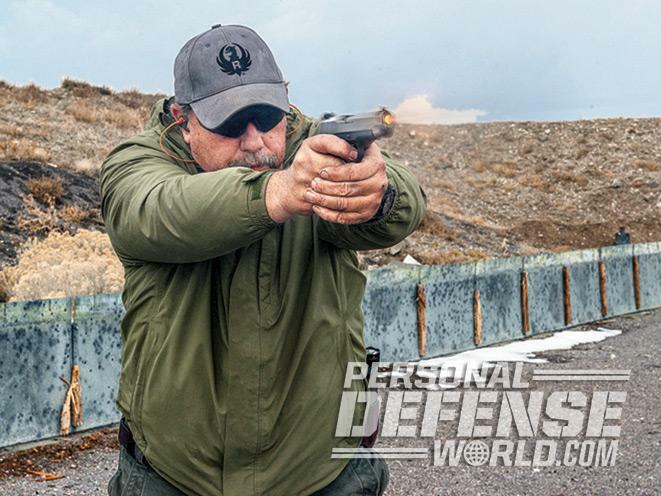 Many of the economy 1911 pistols on the market are imports, making Ruger an excellent choice for a completely U.S.-built pistol that’s priced favorably. Ruger’s dedication to solid build quality, excellent customer service and fair pricing has made the company incredibly popular. 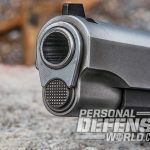 Built using state-of-the-art CNC machining with features seen on pistols twice the price, Ruger’s 1911 designs are acquitting themselves well in the hands of thousands of shooters. 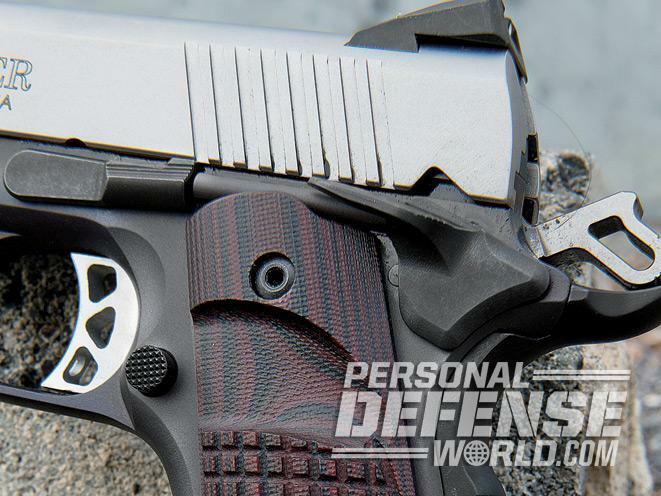 Since its introduction, the SR1911 Commander has sat in many a professional’s holster. Concealed carriers are grabbing them up as fast as they can be built. 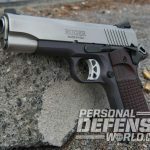 It was only a matter of time until a lightweight version came out, and now the SR1911 Lightweight Commander pistol is finally here. Ruger’s Lightweight Commander starts with a lightweight anodized aluminum frame that uses a polished titanium feed ramp. Precision CNC machining provides for excellent slide-to-frame fit as well as solid construction. Serrations on the frontstrap and a checkered metal mainspring housing provide for a solid hold. Series 70 internals keep the aluminum trigger crisp. An oversized beavertail ensures positive function. An integral plunger (not staked) keeps the thumb safety in place, crisp and consistent. Magazines are released using a slightly oversized release and the slide stop is serrated. 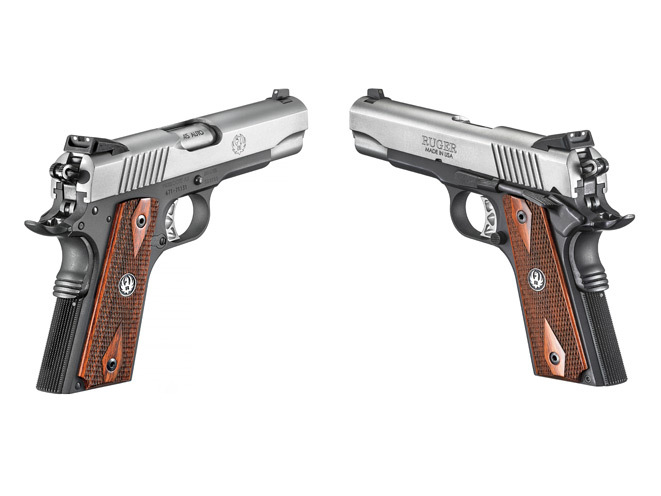 Thin hardwood grips fit small hands and keep the pistol solid in the user’s grip. The pistol’s forged stainless steel slide is brushed to a low-glare finish. Featuring Novak dovetails, it includes a white-dot front and low-cut rear sights. Cutting the stainless steel barrel and bushing from the same stock keeps things tight. Its true Commander length (4.25 inches) keeps things reliable. Proper fitting and a standard guide rod allow for disassembly without tools. The oversized ejection port facilitates positive and consistent ejection. 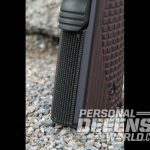 Rear slide serrations make loading easy and positive under adverse conditions. The swaged link pin, skeletonized lightweight hammer and titanium firing pin also ensure fast cycling. Two stainless steel magazines are provided, along with a bushing wrench and soft case. Testing was completed with only one change to the pistol: grip panels. Slim line grips are great, very popular and work for many shooters, just not me. My large hands make them uncomfortable, and don’t allow for a complete grip on the pistol. Some form of VZ grips adorn every 1911 I’ve carried with any consistency, so a set of the company’s Elite Tactical Carry grips were moved over from one of my Delta Elites. These grips provide moderate texture in just the right places, lessening any snagging risk on clothing. VZ’s Super Scoop cut allows for magazine changes with no need to alter my grip. They not only ensure a fair test of the pistol, but they provide a really nice look on the black frame. My first concern with any 1911 designed for concealed carry is its ability to function with modern self-defense ammunition. For many, this will be their only pistol, and it needs to work with factory ammunition, preferably right out of the box. Removing the pistol from the box, it was disassembled, inspected and cleaned. Everything looked good, so its first test was using Winchester 230-grain Bonded. 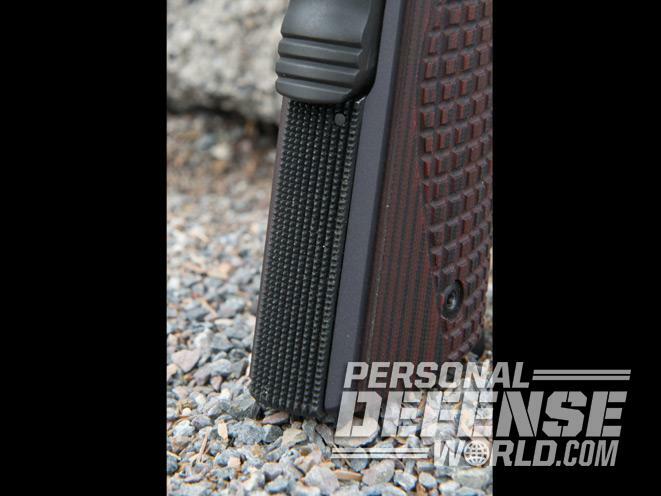 Three Wilson Combat Elite eight-round magazines were loaded and used for this entire test. 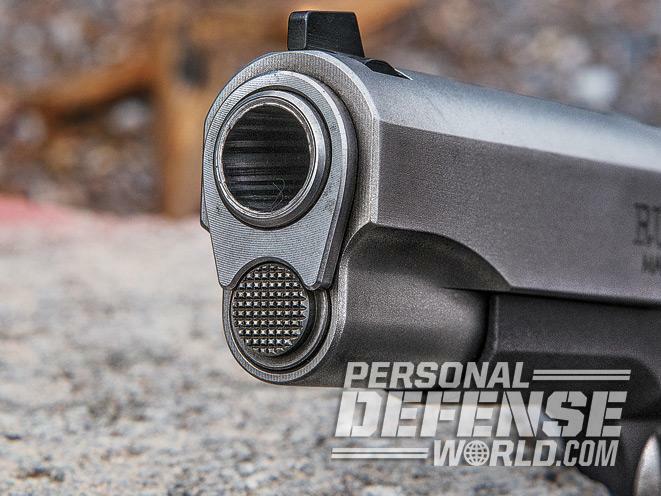 These magazines have proven reliable in every pistol I’ve tested, making them a solid choice to test the pistol’s reliability. 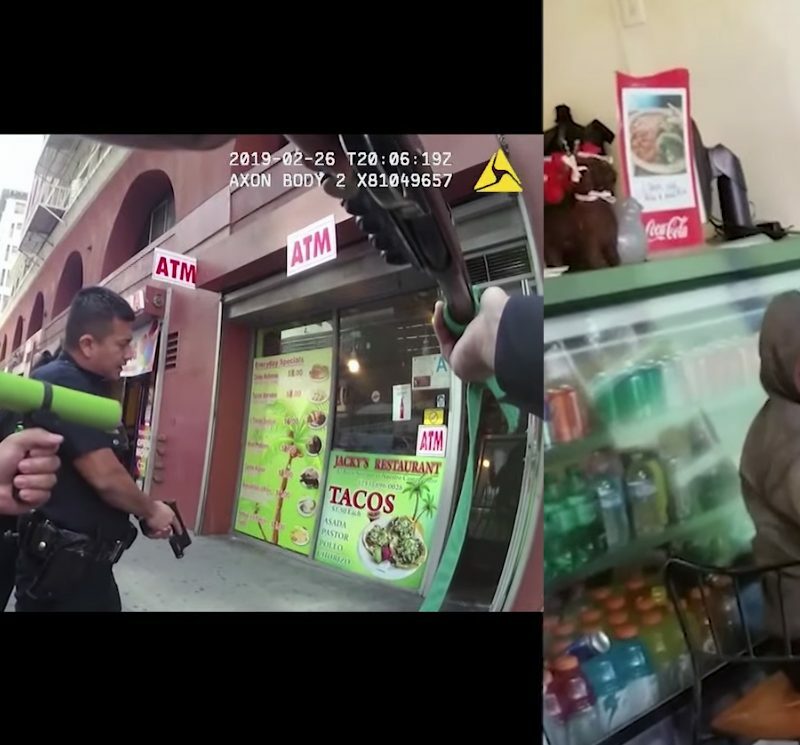 A “bill drill” consisting of emptying the magazine as fast as possible followed by a reload starts the process. Singles, doubles and triples are next, with the last magazine being used for a second rapid-fire string. Any malfunction during this drill is unacceptable to me in a carry pistol and the Ruger passed with flying colors. Six different loads were tested from five different manufactures, ranging from 165-grain +P to 230-grain bonded, and all functioned flawlessly. Pistols costing almost three times as much fail this test regularly. 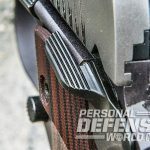 Ruger’s reputation for solid reliability was clearly demonstrated. 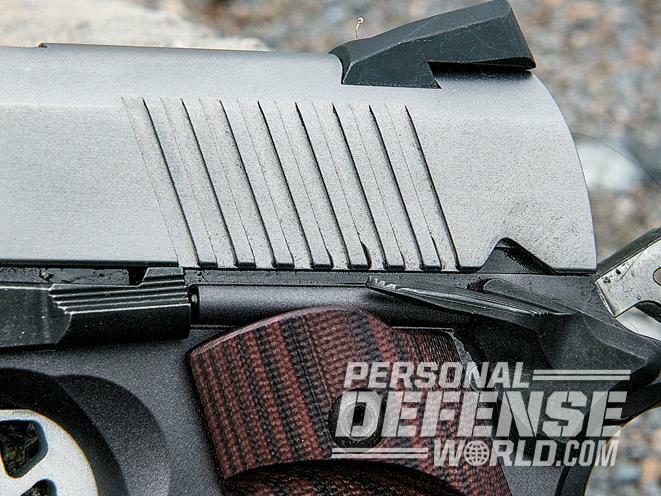 As a carry pistol, a smooth draw from an inside-the-waistband (IWB) holster is mandatory. While the Ruger is not heavily melted, sharp edges are minimal. Given that my everyday carry is a 1911 in a Milt Sparks Nexus, it was a simple matter of swapping pistols. Starting with some dry fire, the Ruger presented smoothly. The safety is crisp, although a little light for me, but that can be a personal preference. Moving back to the holster, it inserted without any catching or need to maneuver it around. Gripping was consistent, while the frontstrap and upswept beavertail provided a pretty high grip. 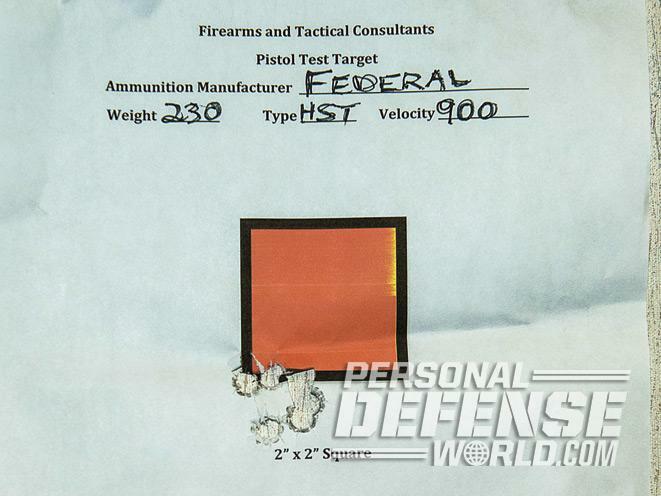 Moving to live-fire drills, it was easy to get on target with a solid grip. Tested while I wore a sweatshirt (my usual attire) and a jacket, the Ruger acquitted itself nicely. My pistols all use aggressive checkering with grips to match, so my expectation was that this pistol would move around quite a bit. To my surprise, it stayed put even during rapid-fire strings while using self-defense ammunition. Using the practice loads it was downright solid. The VZ grips certainly help, but it was rock-solid both barehanded and while using gloves. During testing, the sights remained in place and were plenty fast to target. Using a standard dovetail is huge for me since my preferred sighting system is a bit different. 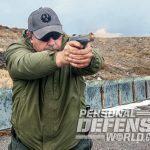 If this pistol sticks around, it will get a Trijicon HD front and 10-8 Performance rear, but Ruger has thankfully made that a very simple process. Most of the carry ammunition was point of aim/point of impact from 15 to 18 yards. Holding a tad high at 25 yards put most on the 6-inch steel with regularity. Accuracy was excellent—as good as it gets short of a hand-built masterpiece. Recent testing of a couple high-dollar customs yielded similar results. 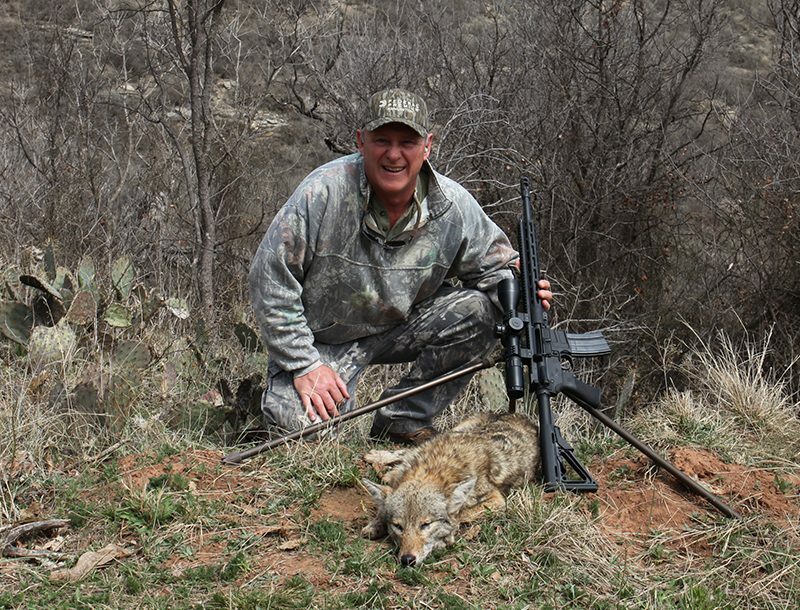 My best group measured 1.25 inches using Federal’s 230-grain HST at 25 yards from a rest. It was cold, raining and anything but group-shooting weather. Short of a Ransom rest, I cannot shoot a pistol much more accurately. 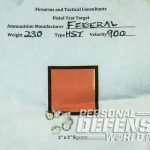 Although it’s a concealed-carry pistol that is about three times as accurate as it really needs to be, I’d say small targets at 25 yards would be at significant risk. Short of personal preferences born from decades of carrying a 1911, there is really nothing to dislike about this pistol. New shooters will need to change little, or nothing, for dedicated concealed-carry or self-defense use with it. It worked perfectly out of the box with several self-defense rounds. Accuracy was excellent, and the Series 70 (no firing-pin safety) system is proven and capable of tuning. The trigger was typical of factory pistols—pretty crisp, a bit of creep and just a little overtravel. 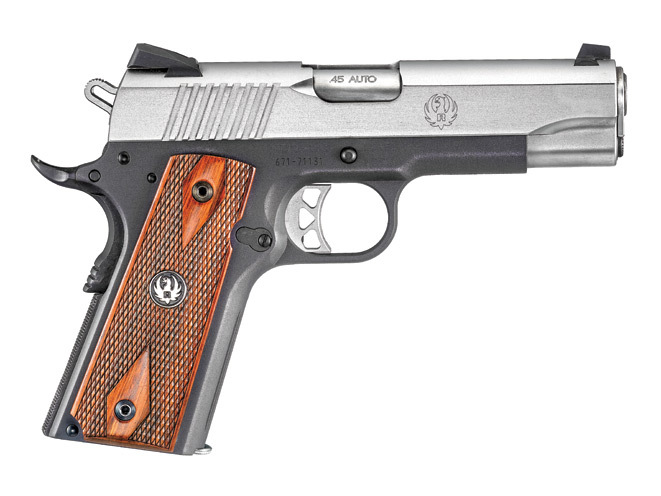 This is an excellent pistol that’s perfect for first-time users or for those wanting a solid entry-level 1911 for carry. Capable of customizing as needed, it fits just about any need. As with all Rugers, the street price is quite a bit less than its $899 retail, putting it in the hands of just about anyone purchasing a quality carry pistol. Add to that Ruger’s warranty and the fact that it is built (and not just assembled) in the U.S. and it has a broad appeal. 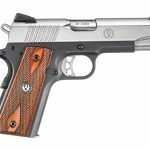 Whether you are looking at your first pistol, your first 1911 or just want a great .45 ACP pistol, then give this one a really close look.